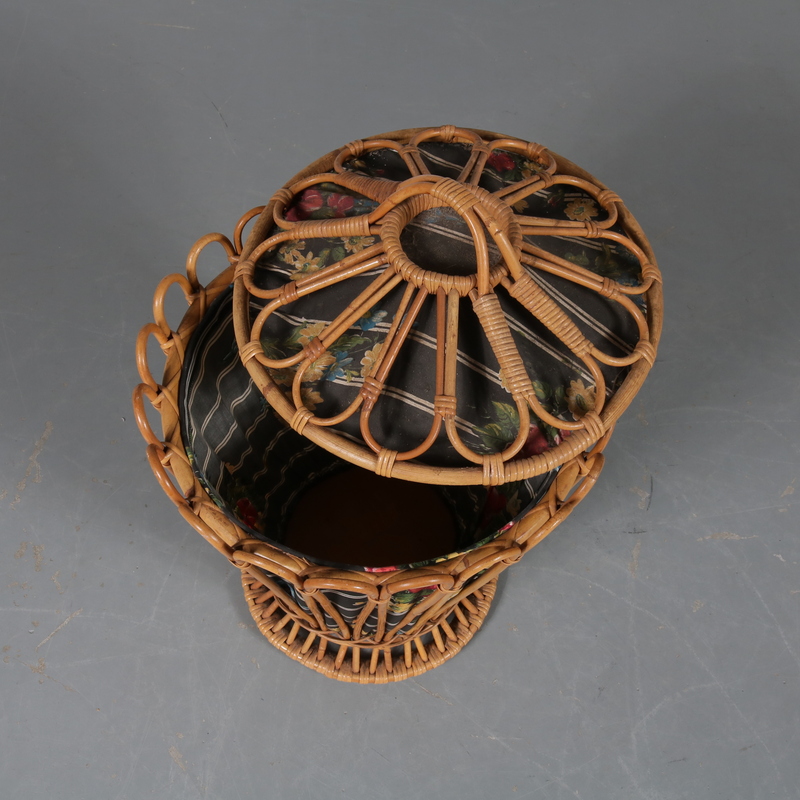 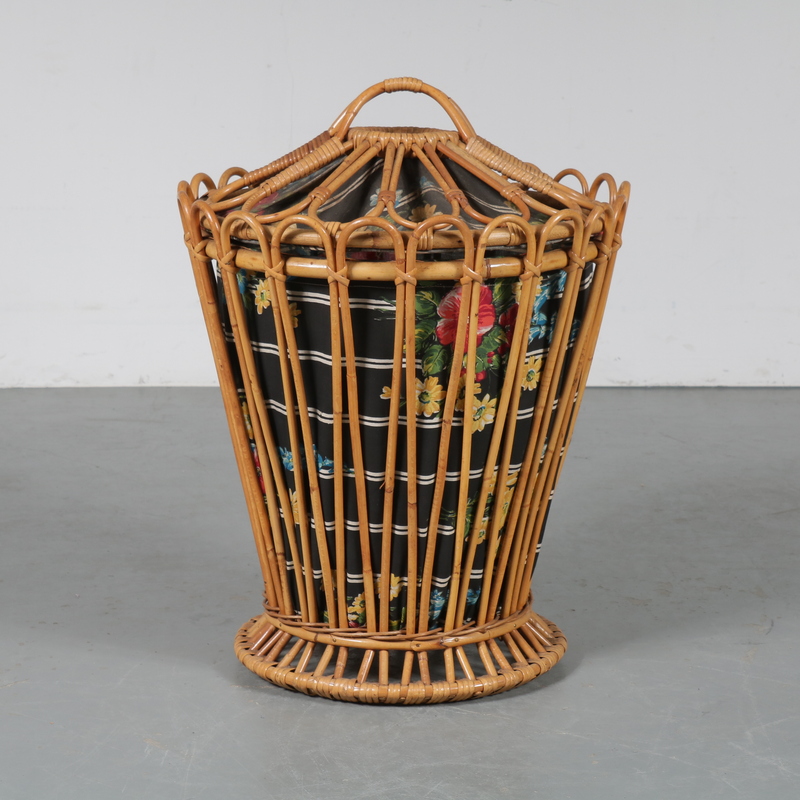 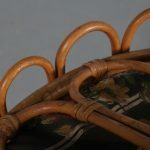 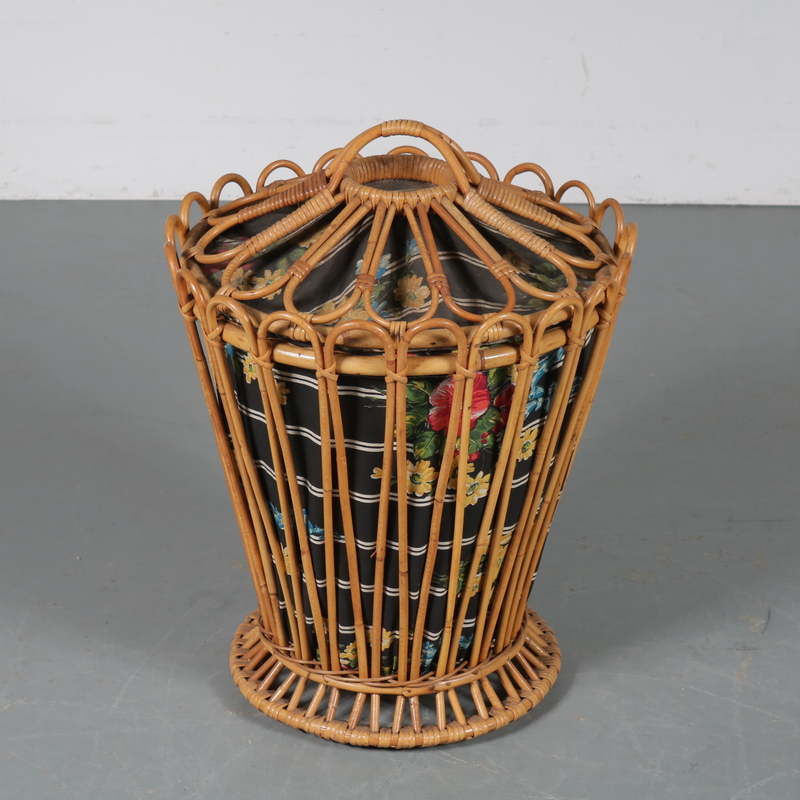 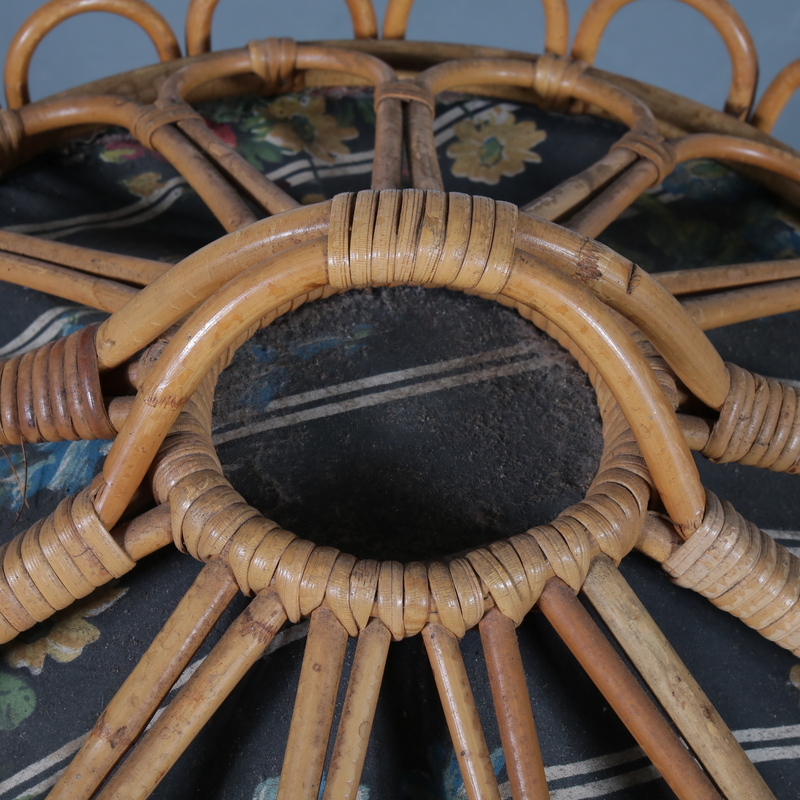 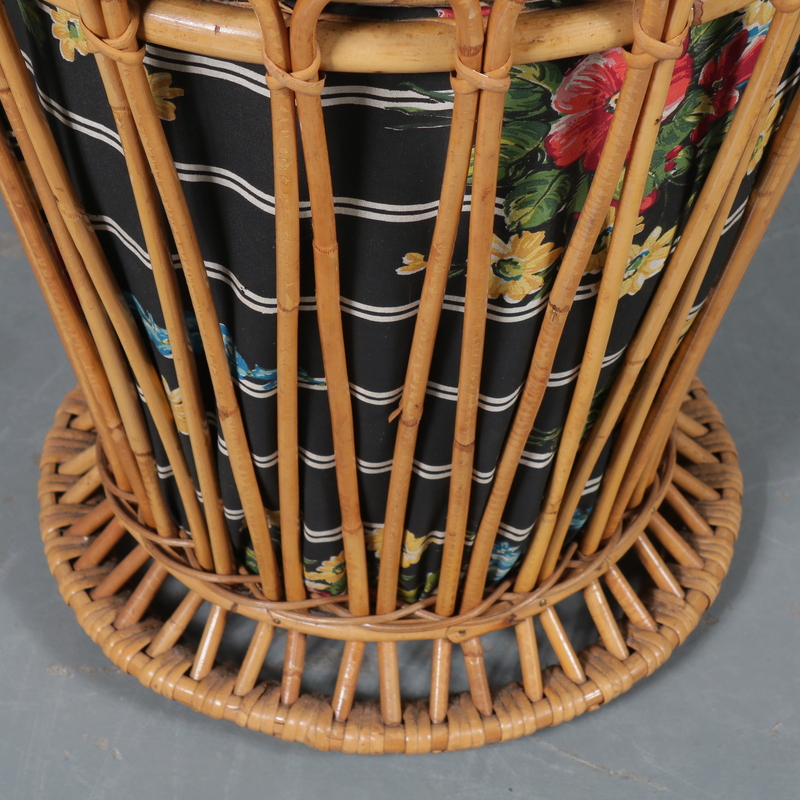 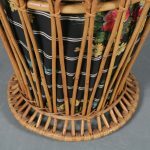 A lovely rattan washing basket with beautiful curved shapes and connections. 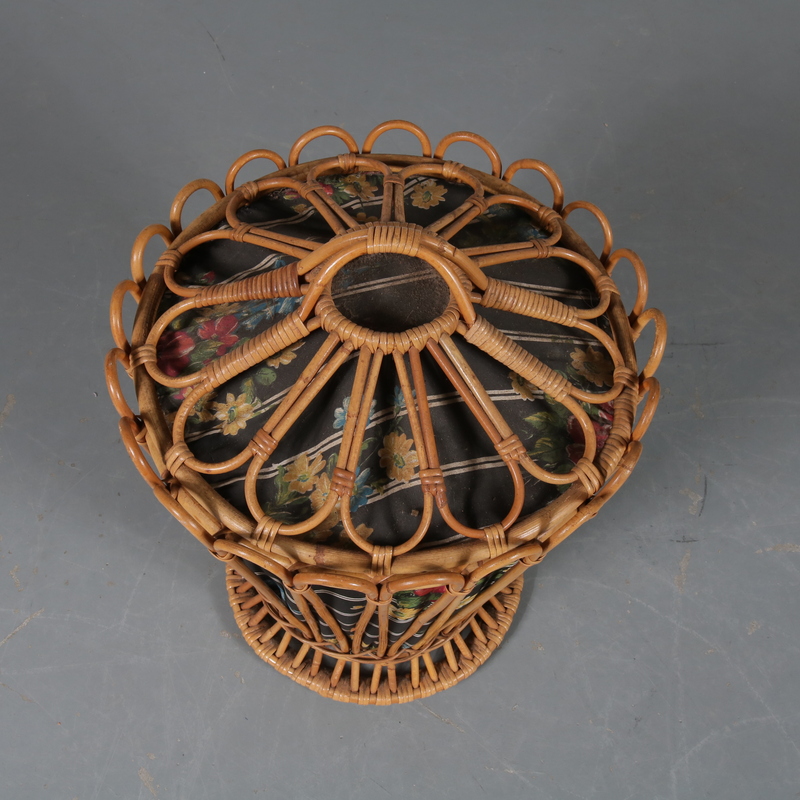 The unique style of the piece is complimented by the flower pattern fabric interior. 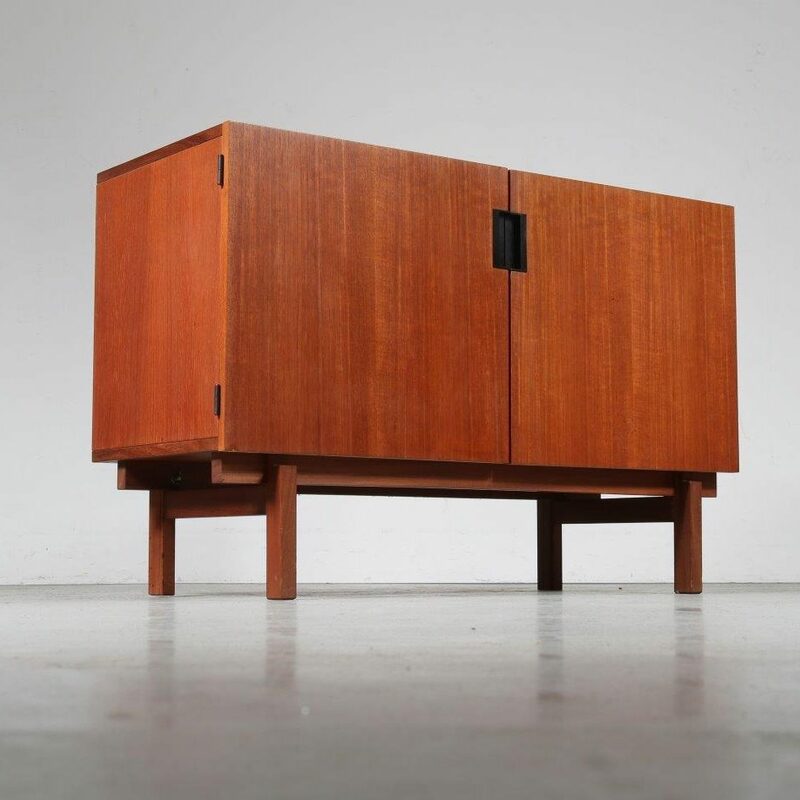 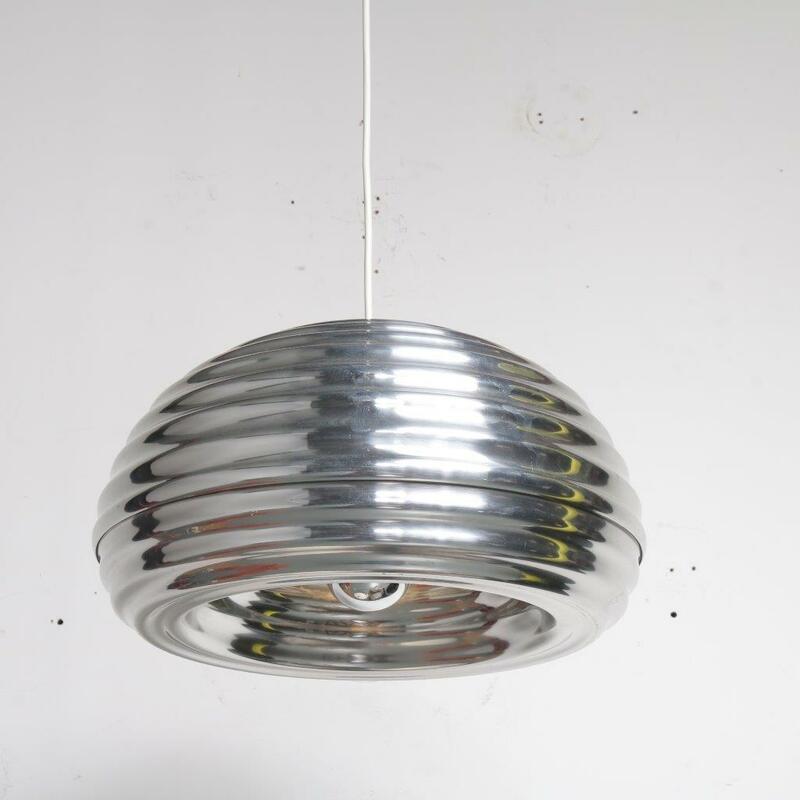 The style of the piece reminds of the famous Italian designs by Franco Albini. 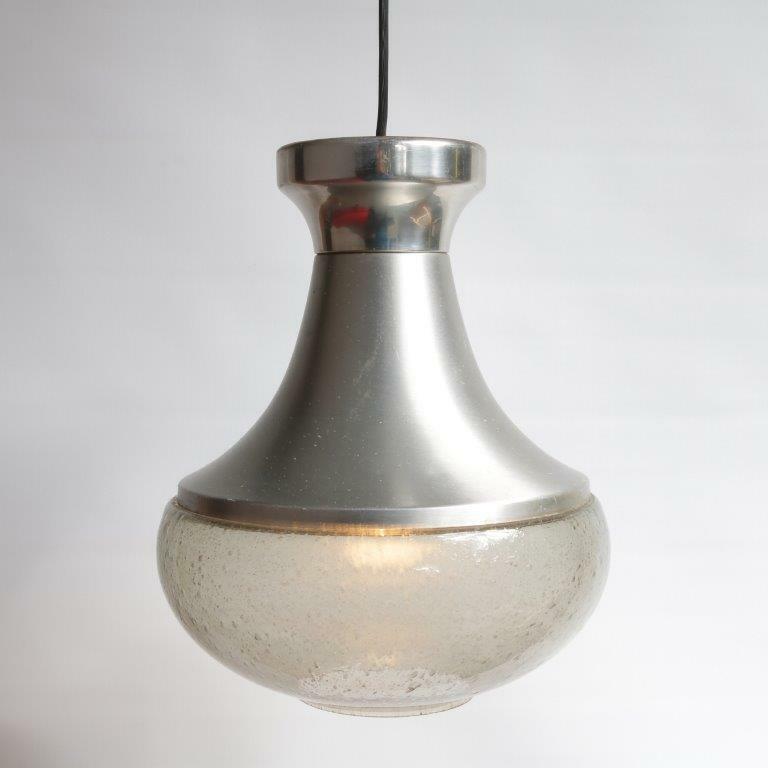 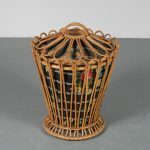 It would make a wonderful vintage touch for any interior! 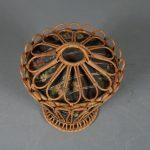 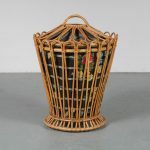 The basket remains in good, vintage condition with minor wear consistent with age and use, preserving a wonderful patina.